4 x Whipped Greek style yogurt with cream & a strawberry compote on the side. Müller Bliss Corner, a Greek style yogurt that's whipped… So creamy, it's sheer bliss! 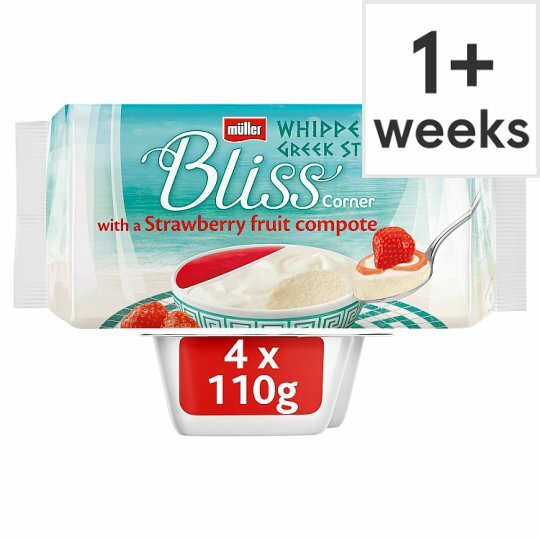 Enjoy Muller Bliss Corner whipped Greek style yogurt with strawberry fruit compote as the perfect after dinner treat. Keep refrigerated., Best before see top of pack.